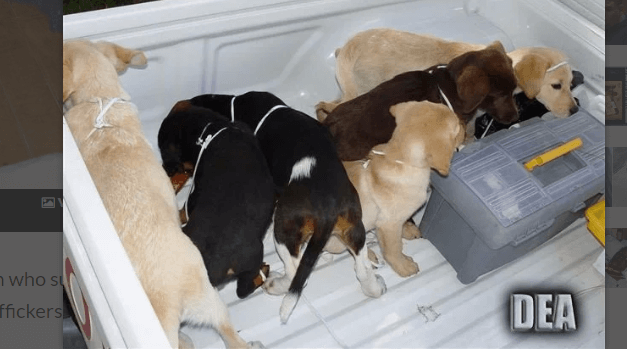 The veterinarian who implanted liquid heroin inside of puppies, in order to smuggle the narcotic for drug traffickers, is headed to prison. According to multiple sources, 39-year-old Andres Lopez Elorez, of Colombia, was sentenced to six years behind bars on Thursday. Elorez sewed bags of liquid heroin into puppies who were being sent to the United States – upon arrival, the drugs were surgically removed, reports Pix 11 News. 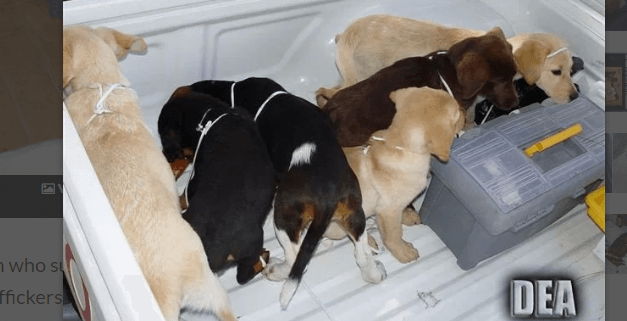 Some of the puppies died from infection after the surgical procedure – happily, two of the surviving puppies went on to live full lives after being rescued. One became a member of a Colombian police officer’s family and another was trained by a Colombian police officer to be, ironically, a drug detection dog. I suggest that they sow some heroin in his stomach before they put him in jail, see how that will work out for him. evil pos.